Following World War II, many American cities underwent a large-scale modernization to keep up with the changing times in business technology and architecture. With help from federal funding and planning, expansive and low-density modern projects replaced the crowded blocks of century-old buildings. State-of-the-art facilities featured large, open plazas that were the scenes of social and cultural events, attracting private developers to the city�s core. 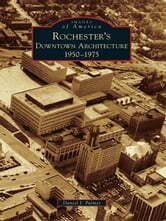 Due to its participation in new policies of planning and the efforts of its strong preservation community, Rochester is today an interesting and sometimes perplexing mixture of densely packed, ornamental-19th-century buildings and monumentally scaled and architecturally stark projects of the modern era. 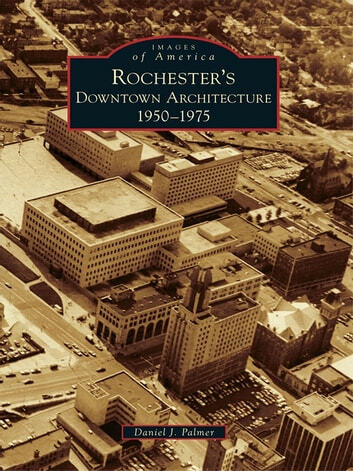 Rochester�s Downtown Architecture: 1950�1975 tells the story of the peak years of change to the built environment of Rochester�s downtown.